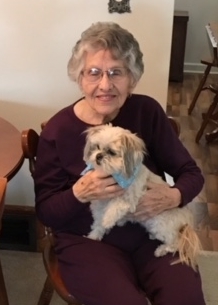 Bonnie N. McCann, 92, of Monmouth, IL, passed away at 5:19 pm, Saturday, August 18, 2018 at her home. She was born January 3, 1926 in Monmouth, IL, the daughter of Elza H. and Dolly (Switzer) Cooke. She was raised, educated and lived her entire life in Monmouth. Bonnie graduated from Monmouth High School in 1944. 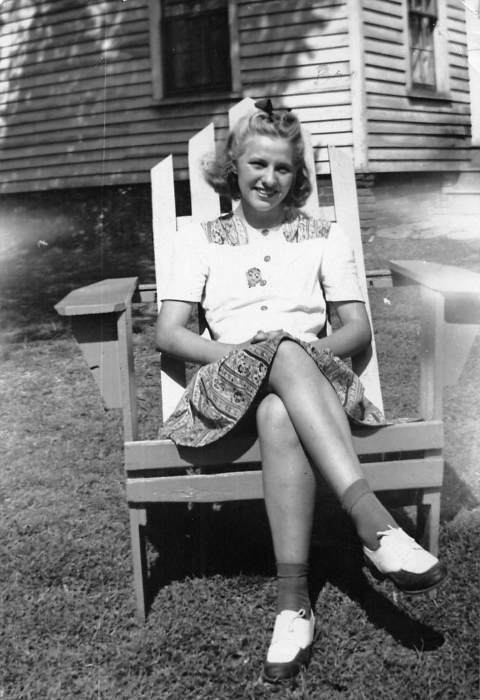 Bonnie married Earl R. “Gunner” McCann on September 9, 1944 in Norfolk, VA. He preceded her in death on February 17, 1991. She was a homemaker and most recently cooked at Immaculate Conception School in Monmouth. Bonnie was a member of the First Christian Church since the age of 18 years old. She enjoyed the outdoors, camping and sports, especially the Chicago Bulls. She also loved feeding her squirrels and birds. Survivors include her daughters, Pamela (Dale) McCann Ridgway of Lincoln, IL and Janet Elaine McCann of Monmouth; grandsons, Jonathan E. Barton, William E. (Stephanie) Barton, Andrew (Wendy) McCann; granddaughter, Carrie (Mike) Randolph, and 7 great grandchildren. She was preceded in death by her parents, husband, son, Roger L. McCann; her siblings, Dales Cooke, Helen Baker, Madeline Danna, Frances Hartt, Faith Nichols, Eldon “Bud” Cooke, 2 infant siblings, and her special friend, Bob Ehlen. Memorial services will be at 11:00 a.m., Saturday, August 25, 2018 at McGuire & Davies Funeral Home and Crematory, Monmouth with Rev. James Epperson officiating. Burial will be in Monmouth Cemetery. Memorials may be given to the First Christian Church of Monmouth or St. Jude’s Children’s Hospital. McGuire & Davies Funeral Home and Crematory is in charge of the arrangements.